What is in e juice? E juice is also called e liquid and vapor juices. E juice is consist of PG (Propylene Glycol), VG (Vegetable Glycerin), food flavoring, water and Nicotine. Vegetable Glycerin is a sweet, thick, sugar alcohol compound vegetable based liquid found as a sweetener in liqueurs and cake frosting. 100% VG base is very thick and hard to smoke effectively. A combined PG/VG blend a must be used for smooth vapor. Vegetable Glycerin is a non-toxic liquid. Propylene Glycol is an organic compound used as a flavoring carrier in food items, as an ingredient in food coloring, also used as an additive in various medicines, ice cream and soda.A combined base of PG/VG blend is a must for a smooth vapor then using 100% PG base. Propylene Glycol is a non-toxic liquid. 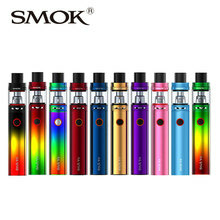 There are a variety of top selling flavors, some contain nicotine and some are nicotine free. There are different strengths available. E juice are available with nicotine-containing 0mg, 6mg, 12mg, 18mg and 24mg Nicotine strength. 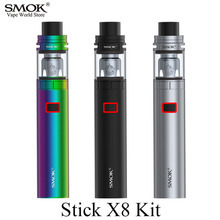 Use only branded e juices as you want to make sure that the e juices are made to FDA standards otherwise expect the e juices to be loaded with impurities and artificial ingredients, which can be harmful to you. E juices must use pharmaceutical-grade or food-grade ingredients. What is in e juice? Most of the e juices have a mixture containing 65% PG and 25% VG or 45% PG and 45% VG. PG and VG are combined with 10% of food grade flavors, water and nicotine which creates unique and smooth vapor juice recipes. Finding a e juice flavor is an individual choice, to know your flavor you will have to simply try them out. One way of doing this is to purchase numerous small sizes of various e juices available. You will know right away which ones you love and which ones you hate. Once you have known the basic understanding of the flavor types you enjoy, keep trying other e juice within those flavor until you have a set of them that you enjoy. If you have any comments or questions please post them below. Thank you for reading my post, I hope that you understood what is in e juice. See you soon. Shop E-Juices Now! Made in the USA only $4.99 per 17ml bottle! Welcome to Mt Baker Vapor, your number one store for all things electronic cigarettes.